Rep. Trey Gowdy (R-S.C.), the chairman of the House Oversight Committee, said the FBI acted appropriately when it used an informant to gather information about Donald Trump campaign advisers who allegedly had suspicious contacts linked to Russia prior to the 2016 election. 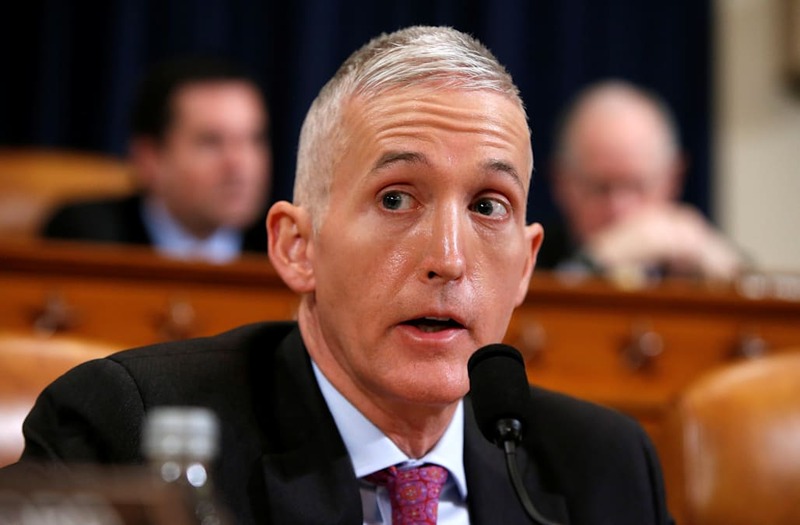 “I am even more convinced that the FBI did exactly what my fellow citizens would want them to do when they got the information they got, and that it has nothing to do with Donald Trump,” Gowdy said Tuesday during an interview on Fox News. Gowdy last week attended a classified DOJ briefing alongside other top lawmakers regarding the informant and the tactics the FBI had used during the 2016 campaign. The South Carolina congressman, who is retiring this year, is the first GOP lawmaker briefed on the informant to directly rebut Trump and his allies regarding the surveillance claims. Trump has ratcheted up his attacks against the Russia investigation, the Justice Department and the FBI in response to the revelation. He claimed the agency “infiltrated” and “spied” on his campaign under the orders of President Barack Obama, and he demanded that the Justice Department investigate the accusations and turn over any relevant documents to Congress. Trump again tore into the FBI during a rally in Nashville on Tuesday evening, insisting that his campaign had been “infiltrated” by his political opponents. “Can you imagine?” he said, to boos in the audience. But Gowdy maintained the FBI was simply following Trump’s orders when it investigated his campaign’s ties to Russia.